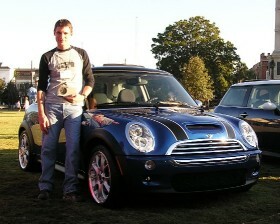 To those who know me though work, you know that I am a MINI Motoring Advisor. 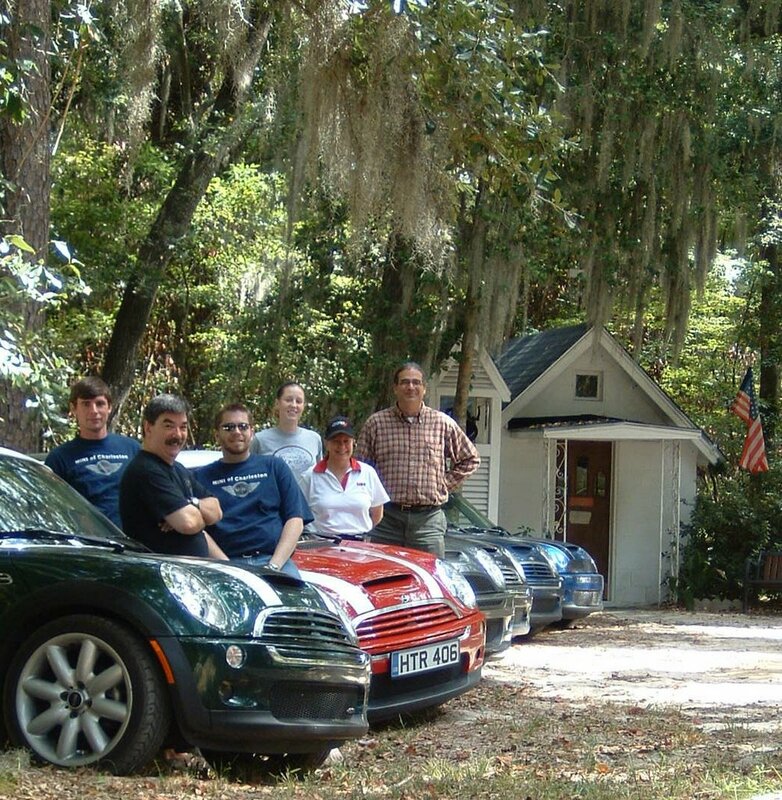 To those who know me outside work, you know that I am a MINI Motoring Advisor. Apparently that is all I have had time for here recently, and to those who have supported me with the start of my Blog I am sorry. I’ll try to be more gooder! As I have not posted in a week you would think I would have a lot to say. Hmmm . . .
We had a GREAT time in Savannah this past weekend! 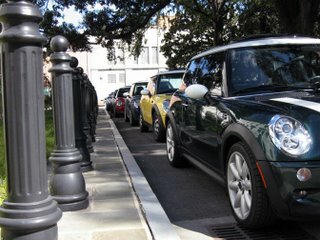 We ended-up with seven MINIs in attendance. We motored through downtown Savannah and out to Hutchinson Island for a ride on the track. That was a blast! We will definitely have to run the track again next time. After the track we traveled out to the Smallest Church in America. Great fun there! Sadly, by that time Jimmy and I had to return to Charleston for handbell practice. We have decided to make this a monthly outing, first Sunday of every month. We will possibly rotate locations for the Monthly Motoring, moving from Savannah to Charleston to Hilton Head and Beaufort. The next meeting will be November 5th in Savannah. We will meet around 10:00AM at the Starbucks in the 12 Oaks Shopping Center, 5500 Abercorn Street, Savannah, GA. Please let me know if you would like to drive down from Charleston with us. Also, Movies-in-the-Park Thursday consisted (once again) of great weather, great numbers of people, and of course great fun! I had not yet watched Zoolander in its entirety; a very funny movie indeed! Next week City Paper will feature X-Men 3. If you would like to attend please let me know! Hope to see you there!